The issue contains two papers specifically on Egypt. The first is “The revolution shall not pass through women’s bodies: Egypt, uprising and gender politics” by Sherine Hafez. Exploring the changing meanings of women’s bodies in modern Egypt, she looks at Aliaa’s al-Mahdy’s naked activism, the woman in the blue bra, and Samira Ibrahim’s lawsuit against the forced virginity test imposed on her by SCAF to see what women’s bodies can mean in revolutionary times. This article analyses the outcome of the Egyptian uprising on women’s issues by focusing on women’s bodies and the discursive ways by which they are constituted and constitute themselves. Three vignettes illustrate the centrality of female corporeality in the political transformations taking place post the 25 January revolution. While these ‘feminine’ bodies are disciplined and regulated through discourses of patriarchy, Islamism and secular modern masculinity, they are also sites of dissent and revolution. These bodies as shown in the vignettes offer novel forms of corporeal practices that as they appropriate systemic forms of discipline and regulation also reconstitute them into new and personal ways of expressing counter-discursive means of resistance. The second is Maya Morsi’s paper “Egyptian women and the 25th of January Revolution: presence and absence.” It compares the strong presence of women in the Tahrir protests with their relative exclusion from public space under the Freedom and Justice Party government, and examines the policies of the Morsy government that concerned women. This paper analyses the challenges confronting Egyptian women during the transition government of the Muslim Brotherhood (MB). It provides the background for the legal system under Mubarak and offers a comparative look at the legislation that was being discussed or has been implemented during the political transition after the 25th of January Revolution. A backlash against women and their agenda prompted conservative calls for amendments of legislations that were passed during the Mubarak era. This paper underscores the importance of women’s involvement in transitional processes for a successful democracy in Egypt. It underlines the shortcomings in the design of electoral laws in relation to including women and other groups such as the Copts and young people. It describes the way by which the Freedom and Justice Party (FJP) – the MB’s party – first ignored then reconfigured the mission and mandate of the National Council for Women during the transitional period. It provides a detailed account of the Mubarak-era laws, comparing them to those proposed by various political forces and opposed by the FJP government. The paper also compares Egyptian laws both before and after the revolution with the international human rights conventions to which Egypt is party, pointing at inconsistencies and outright violations, including the treatment of gender-based violence (GBV), the debate around female genital mutilation (FGM) laws, and issues of gender and Shariʿa in the draft Constitution. Loubna Hanna Skalli’s “Young women and social media against sexual harassment in North Africa” fleshes out Andrea Khalil’s point by looking at two efforts to use social media to draw attention to, and change the nature of, sexual harassment in contemporary North Africa by focusing on two efforts, Egypt’s Harassmap and Morocco’s Women-Shoufouch. This article discusses anti-sexual harassment initiatives launched in North Africa within the broader context of the Arab Spring. Although women’s rights groups have mobilized against gender-based violence for the past few decades, recent initiatives signal interesting shifts in how the young generation of women and men behind these initiatives conceptualize the linkages between sexual harassment, citizenship and the gendering of democracy. I use the Egyptian Harassmap and the Moroccan Women-Shoufouch as examples of how young activists combine on-the-ground mobilization with cyber activism that maximizes the potential of new communication technologies (Internet and cell phone) and social networks (Facebook, Twitter and YouTube). I argue that it is through this combination of online and offline activism that they have succeeded in exposing the complicity of political and patriarchal forces in (re)producing and condoning sexual harassment before and since the Arab Spring. Drawing on various sources, including interviews with young activists, I underscore interesting generational shifts in how young activists think of, talk about and react to sexual harassment within societies where the topic has long been condemned to silence. Recent efforts, I contend, promise to launch an irreversible process of change. “Modernizing women and democratization after the Arab Spring” by Valentine M. Moghadam offers a general (and comparative) assessment of women’s movements in North Africa after the protests of the Arab Spring. What has the Arab Spring meant to women, and women’s rights, in the region? Three years after the mass social protests of January and February 2011, when and where can we expect the promises of democracy and equality, and the revolutionary spirit of unity and purpose, to be realized? This Foreword offers a stock-taking of events and possible future directions, with a focus on prospects for a women-friendly democratisation. The special issue also contains articles focusing on women’s issues in Tunisia, Algeria, Libya and Morocco. Charrad, Mounira M. and Amina Zarrugh. 2014. Equal or complementary? Women in the new Tunisian Constitution after the Arab Spring. The Journal of North African Studies 19(2): 230-243. Cheriet, Boutheina. 2014. The Arab Spring exception: Algeria’s political ambiguities and citizenship rights. The Journal of North African Studies 19(2): 143-156. Errazzouki, Samia. 2014. Working-class women revolt: gendered political economy in Morocco. The Journal of North African Studies 19(2): 259-267. Hafez, Sherine. 2014. 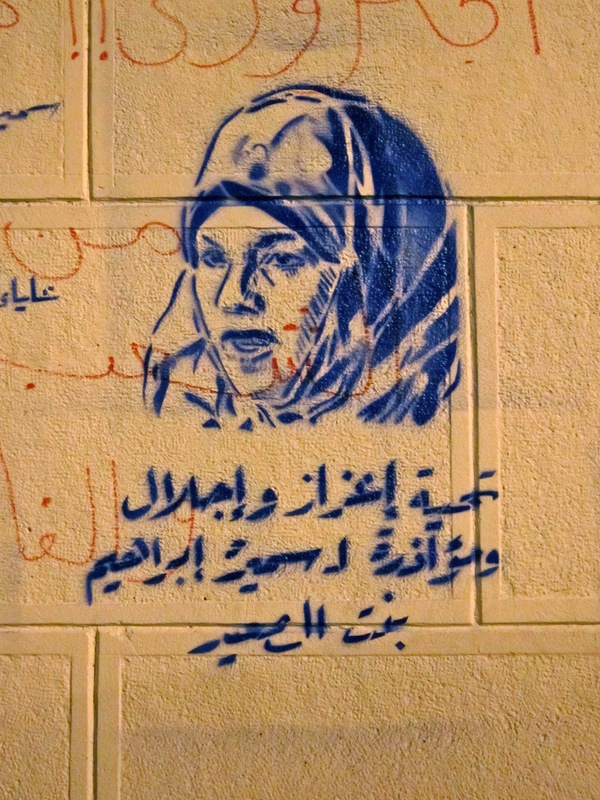 The revolution shall not pass through women’s bodies: Egypt, uprising and gender politics. The Journal of North African Studies 19(2): 172-185. Khalil, Andrea. 2014. Gender Paradoxes of the Arab Spring. The Journal of North African Studies 19(2): 131-136. Khalil, Andrea. 2014. Tunisia’s women: partners in revolution. The Journal of North African Studies 19(2): 186-199. Labidi, Lilia. 2014. Political, aesthetic, and ethical positions of Tunisian women artists, 2011–13. The Journal of North African Studies 19(2): 157-171. Langhi, Zahra’ . 2014. Gender and state-building in Libya: towards a politics of inclusion. The Journal of North African Studies 19(2): 200-210. Moghadam, Valentine M. 2014. Modernising women and democratisation after the Arab Spring. The Journal of North African Studies 19(2): 137-142. Morsy, Maya. 2014. Egyptian women and the 25th of January Revolution: presence and absence. The Journal of North African Studies 19(2): 211-229. Skalli, Loubna Hanna. 2014. Young women and social media against sexual harassment in North Africa. The Journal of North African Studies 19(2): 244-258.